How many of us realize there are only two stages in life?? You are either living in your GREATNESS or living in your SMALLNESS. Did you know that 90% of the world chooses to live small. I challenge you today to live in your GREATNESS, the world is waiting for you to give your best and don’t take a back seat on your goals. It does not matter where you start, it matters where you finish. 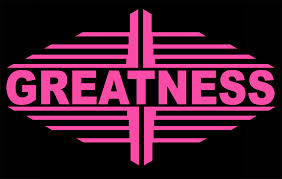 Show your GREATNESS today.